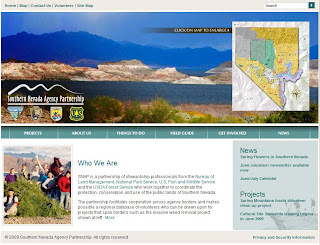 The National Park Service hired Fig Leaf Software to design a new Web site for the Southern Nevada Agency Partnership (SNAP). The new SNAP.gov Web site incorporates an elegant, clickable Adobe Flash map and includes real time video from Southern Nevada. The completed design was implemented by Fig Leaf using ColdFusion and the CommonSpot Content Server (CMS) which makes it easy for non-technical content owners to publish and maintan Web site content.